LISTEN NOW! 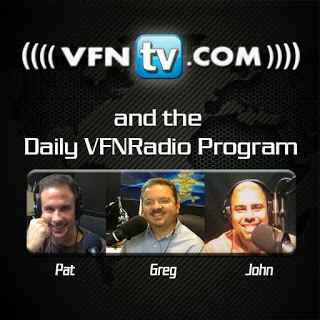 John, Greg, and Pat discuss recent reports from Fox News regarding the executions of 80 North Koreans for watching South Korea videos and for possessing Bibles. Fox News reports that Kim Jong Un dictator of North Korea had white bags put over the heads of those captured and gathered 10,000 people including children in a stadium so they can watch the execution. “It was heard from the residents that they watched in terror as the corpses were (so) riddled by machine-gun fire that they were hard to identify afterward,” the JoongAng Ilbo source said. They continue to discuss how Dictator Kim John Un was following after Nero when he persecuted Christians during his time. They continue to discuss how if the enemy can’t remove the Bible he will raise up a counterfeit like the Koran. They encourage us to pray for persecuted Christians all over the world. We cannot pray if we don’t have a burden and we won’t have a burden if we don’t remain informed on how Christians are being tortured, and killed just for being Christians. Either Fear or Faith: Which one will it be? Greg, John, and Pat discuss whether it will be either fear or faith, which one will it be? They continue to discuss that what North Korean dictator Kim Jong Un is doing when he is executing Christians in stadiums is to instill fear in the people. That is also happening right now in Iran with Pastor Saeed in prison. The enemy is trying to stir up fear in God’s people. Fear is the opposite of what moves God. Faith moves God. They continue to share what Reverend Kenneth Copeland said in one of his messages when he said that people don’t have a fear of flying what they have is a fear of dying. They continued to discuss three common things most people fear. They have a fear of death, a fear of being harmed, and a fear of loss. They further discuss how no matter what category you put fear in it still boils down to fear. So many people are fighting to stay alive and fear death but they are not doing anything with the life they have. There is no one more secure than the person who has never stepped out. So many people are terrified of losing something. Until you are ready to die for something you are not ready to live for anything. John Bevere says that we serve what we fear. If we fear man we will serve man, if we fear God we will serve God. If we are to come after Jesus we have to deny ourselves pick up our cross and follow him. It will cost us everything to serve him. Serve God and not fear, refuse to have an affair with fear. Greg, John, and Pat discuss how people have many questions regarding the affordable care act and NPR. Julie Rovner helps to answer some of these important questions. Some of the questions that are asked to Julie; is there a cap on income? If income goes down and fluctuates are there subsidies available? Do I have to go with my employer health care plan and questions like these can be heard throughout Julie’s interview. They continue to discuss how it is a good thing that health care is something that people are concerned for everyone to have access to it. However, it is very important and the implementation is critical. The fact that the affordable care act is unconstitutional is something that has been grossly ignored. They encourage us to listen to the interview and gather clearer understanding of how the affordable care act affects you. Greg, John, and Pat discuss the secret to being hydrated. Greg asks if we ever feel tired. What do most people drink every morning? They continue to discuss how when you wake up your body wants to remove its toxins. They continue to share what Dr. Oz shared on his program relating to dehydration and why we are feeling so tired and experience body aches in particular back pain. In a nut shell our bodies are dehydrated and depending if we drink caffeinated drinks like coffee or soda we will become even more dehydrated. The solution is to cut back on caffeinated drinks and making sure we drink plenty of water.